September 1998 is when the star-studded hedge fund Long Term Capital Management (LTCM) was wound up. Large institutional investors bailed it out. One bank – Bear Stearns, refused to participate. A decade later, Bear Stearns was bought over by J P Morgan Chase. Trouble at the bank had started after two of its hedge funds got into trouble. History repeats. It just looks different. September 11, 2001 – the world witnessed an event that nobody had anticipated. The twin towers of the World Trade Centre at Manhattan, New York were blown away using aeroplanes of a US airline. This was a “black swan” event – an event that one could not envisage. However, the probability of such an event is near zero and not exactly zero. Be aware. A black swan phenomenon is one that even experts could not foresee. There are numerous instances when the experts, the smartest in their respective fields, the best in the business, the genius have failed. Failure happens. When, where, how, why – these are questions that often have no answers. However, in certain cases, the answer to the “why” lies in one’s overconfidence, ego, refusal to learn – it’s all in the mind. Just as a reminder, we have borrowed the title of today’s post from a book by the same name, written by Roger Lowenstein, highlighting how a team of the best in the business failed at their own game. It is a compelling story of a very large investment fund – Long Term Capital Management. Managed by Nobel Laureates, the fund could not live up to its name even and did not survive the “long term”. 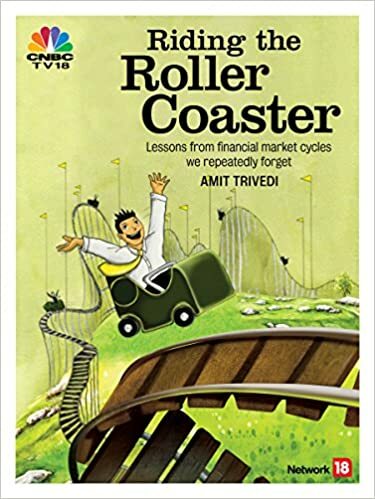 In “Riding The Roller Coaster – Lessons from financial market cycles we repeatedly forget”, we have a chapter on this episode. Probably that is why Roger Lowenstein titled his book giving an account of the rise and fall of LTCM “When Genius Failed”. In the world of investing, if a risk is not visible, it is a reflection of our inability to see the risk not the absence of the risk. Exactly the same has happened time and again in the history of financial markets. This is exactly what happened with Long Term Capital Management (LTCM). (See our post of 31st Dec 2015 on the same). The problem with LTCM was, the risk was very much there, except that it was not obvious. Low risk – high returns: is it a problem? The problem Long Term Capital Management (LTCM) was not about getting enough returns, but about having enough risk. Something was missing here. The fund was generating extraordinary returns, without commensurate risks, as is evident from Prof. Scholes’ statement above.